All 50 states have joined the joint investigation into the mortgage industry. Here’s a statement from the National Association of Attorneys General. 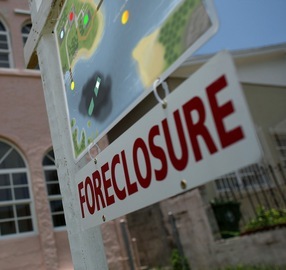 A group of 40 state attorneys general is set to announce an investigation Wednesday into foreclosure practices at some of the country’s largest lenders. Iowa’s attorney general, Tom Miller, will lead the probe into whether the companies made mistakes — or fraudulent actions — that led to homeowners being undeservedly kicked out of their homes. Indiana Attorney General Greg Zoeller told the Washington Post that investigators will look into whether “robo-signer” employees approved thousands of foreclosures each month without properly reviewing the files. The move comes amid a deepening foreclosure scandal. Bank of America and GMAC Mortgage, part of Ally Financial, have already suspended foreclosure proceedings in all 50 states pending internal reviews. Other banks, including JPMorgan Chase and PNC Financial, have suspended proceedings in some states. The scandal has led to calls for a nationwide moratorium on foreclosures — including some from Democratic lawmakers. But the Obama administration has resisted the calls, because of worries that such a moratorium could hurt any economic recovery. “A national moratorium would be very damaging to exactly the kind of people we’re trying to protect,” Treasury Secretary Timoty Geithner said in an interview on “Charlie Rose,” according to Bloomberg News. “In neighborhoods that have been most affected by the foreclosure crisis, where you see lots of houses on the block empty, unoccupied, what it means is those communities would be living longer with houses unoccupied, with more pressure on their house price,” Geithner said. Over at Slate, Timothy Noah adopts the voice of “It’s a Wonderful Life” banker George Bailey to explain the issues at stake to Bedford Falls, and the rest of the country. The Supreme Court will consider the case Tuesday of a man sentenced to die for the murder of his girlfriend and her two adult, developmentally disabled children. Hank Skinner was sentenced to death for the gruesome murders in 1993; he is now asking the court for the chance to gather more DNA evidence that he says could prove his innocence. At issue is whether a federal law gives Skinner the right to ask for more evidence to be introduced so late in the appeals process. The Texas courts and the lower federal courts refused the request to allow more DNA testing. They ruled that Skinner had made a strategic decision at trial not to ask for access to the evidence for more testing, and that he was not entitled to a second bite at the apple. The lower courts also said Skinner did not meet the criteria specified in the law — namely that he didn’t show that DNA evidence could prove his innocence. Skinner was less than an hour away from execution in March when the Supreme Court agreed to hear his case.